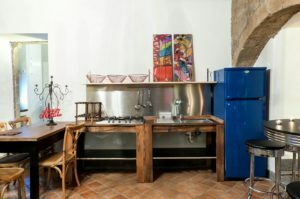 Within the narrow streets of Viterbo’s medieval heart, there are dozens of historic residences whose owners have chosen to open their doors to guests, turning them into family run mini-hotels. 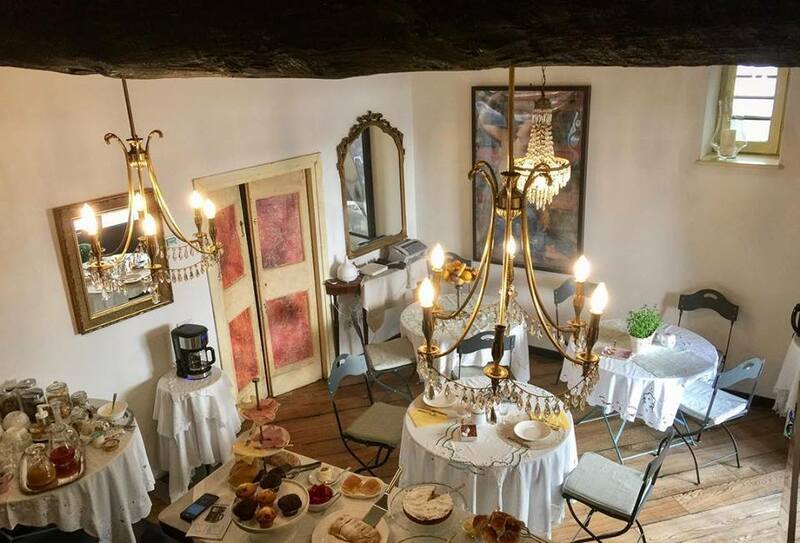 They are finely furnished with antique pieces and are often enriched by little gardens and terraces where you can enjoy breath-taking views all over the city while tasting a wonderful homemade Italian breakfast. The friendly atmosphere and the attention to the details makes a stay at those B&Bs a truly unique experience. Being very close to each other, they are suitable for hosting even small groups of guests. Up to 20 – 25 people can be easily accommodated in a couple of residences within a distance of 50 meters from each other. For those wishing to breathe in the historical atmosphere of Viterbo’s medieval heart, but who prefer a self-catering solution, inTuscia can provide a stay at one of the mini-apartments located in the city centre. They can host from two to six people. 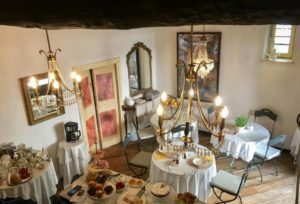 Located in historic buildings likes the B&Bs, they are finely furnished and offer a unique medieval experience. They are equipped with all the cooking amenities and welcome packs. Tuscia has kept up its strong agricultural tradition, as seen in its high number of organic farms, farm holidays and agriturismo. For a relaxing holiday away from the bustle of the city or a wellness retreat, the area offers plenty of countryside solutions. 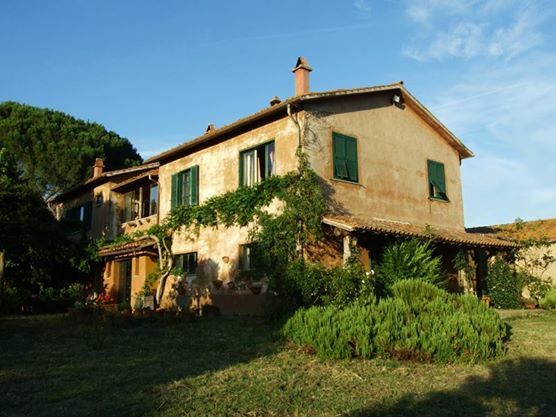 Country homes on the Cimini Mountains offer organic food and private suites, while those around Viterbo are characterized by charming apartments hosting up to ten people each. 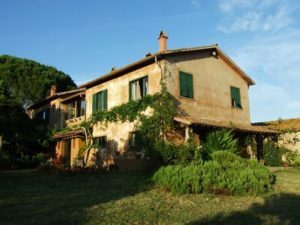 Most of inTuscia’s selection of holiday farms and agriturismo pay special attention to biodiversity and environmental friendly farming methods, as well as serving authentic local cuisine, a combination of excellent, farm-fresh organic ingredients and skilful, traditional cooking methods. A few of them are located inside nature reserves, where you can take in breathtaking views of the surrounding valleys while relaxing around the pool or enjoying the pleasant footpaths or bike paths. Others have archaeological ruins on their property and organize exclusive aperitifs and picnics on site. 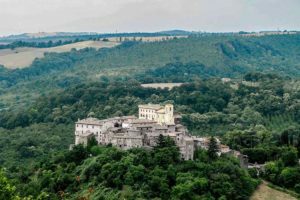 Among the soft and green hills of Tuscia, once a vacation destination for the aristocrats living in the cities, there are plenty of magnificent château and country villas. Few families that still own some of those charming estates decided to open their doors to guests and transform these wonderful residences into exclusive hotels. Located inside pretty medieval villages that retain the flavour of the genuine Italy of the past, or surrounded by woods and parks, they ensure quietness and harmony. With apartments, suits and elegant rooms the residences can host from 20 to 40 people. Refined halls, terraces and historic gardens are used for banquets, workshops and seminaries while the unique atmosphere make those residences the ideal setting for retreats and meditation sessions ensuring an exclusive and unforgettable experience for their guest.